This is a Drawing. 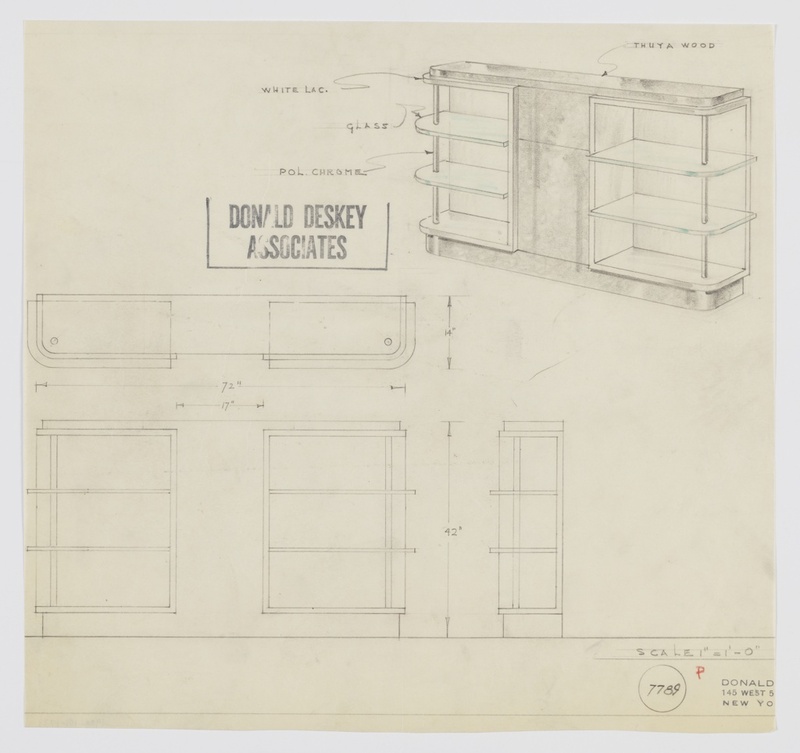 It was overseen (as design director) by Donald Deskey and from the office of Donald Deskey. It is dated 1929–1934 and we acquired it in 1988. Its medium is graphite on tracing paper. It is a part of the Drawings, Prints, and Graphic Design department.